Do Car & Truck Wraps help Businesses Grow? Did you know that you could help your business grow as you drive around town? There are many great advertising strategies that can boost your profits but there’s only one way to get maximum, consistent exposure from a single marketing investment: vehicle wraps. SignPlex, providers of the vehicle wrap Albuquerque businesses have used for years, wants to help you increase your business potential by using high-quality, customized car and truck wraps on your company vehicles. Do Car & Truck Wraps Help Businesses in Albuquerque Grow? Yes! Believe it or not, just one car or truck wrap can be seen by over 50,000 people each day! As the lowest cost-per-impression advertising method, this brilliant marketing tool is perfect for any company’s budget. Visibility is key for increasing your brand awareness, however, you also want those that view your advertisements to engage with your business. It is estimated that just under half of all consumers who view a vehicle wrap will try to learn more about that business online within the next six months. Just by driving a vehicle to and from a job site, you can potentially increase your amount of customer traffic exponentially with a single investment! Although a truck wrap for your Albuquerque fleet or car wraps for your company vehicles are effective marketing tools, the experts at SignPlex insist that you make sure you choose a quality wrap for your vehicles. Vinyl vehicle wraps have the potential to last for five years at least, making it an extremely cost-effective advertising strategy. However, a low-quality or poorly installed wrap could quickly to chip, peel or damage your vehicles. Most importantly, it can also give your business a poor image in the eyes of your potential customers. Vehicle wraps will attract the eyes of thousands of potential new clients as you drive around Albuquerque — make sure you present your business in the best light! SignPlex offers high-quality, professionally-installed car and truck wraps for Albuquerque business vehicles. We offer fast, affordable and innovative vehicle wraps that will help you grow your business. Call SignPlex today and drive your business forward with our exceptional car and truck wraps! Is Graphics a New Trend in Tradeshow Displays? A tradeshow is a perfect opportunity to showcase your company. You want to make sure that your trade show booth is an inviting and engaging space that leaves a lasting impression in the minds of your current and potential customers. To achieve this goal and ultimately increase your profits, the experts at SignPlex insist that you outfit your tradeshow displays with high-quality graphics. If a picture is worth a thousand words, imagine the wealth of information you could pass along to your clients with a few simple yet stunning graphical elements. Are Graphics a New Trend in Tradeshow Displays? In a general sense, no. Even the basic tradeshow booth is likely to have a banner, sign or table runner that displays their company or product’s name. While these are technically graphical elements, their limited use or uninspired design may not attract or impact those attending the tradeshow. It doesn’t matter how big your banner is — if the design is poor, the results will be unfavorable. However, graphics are now constantly being used in new and innovative ways to help tradeshow displays stand out from the crowd. These creative yet practical applications can accommodate any budget and transform any space. With rich colors and unbelievable textures, these tradeshow graphics Albuquerque businesses use can create a visual experience that tells their company’s story. With graphics, Albuquerque businesses have an endless array of options to enhance their customer’s tradeshow experience. Window and wall graphics are easy to use applications that can redefine a tradeshow space in unimaginable ways. Even smaller graphics like custom signage can maximize visibility while requiring only a minimal investment. Though graphics may not be new in the tradeshow space, using these tools in new or innovative ways can shine a spotlight on your company. SignPlex wants to help you rock your next tradeshow. From graphics to signs, we’ll provide you with a booth in a box — everything you need to be the talk of the tradeshow. Don’t let poor branding turn away new business. Enhance your tradeshow displays with high-quality graphics from SignPlex. Are Wall & Window Graphics Profitable for Small Businesses? Effective marketing plans are critical to the success and longevity of small businesses. Between traditional and new media platforms, there are plenty of innovative ways in which a company can successfully get their product or service in front of their customers. However, many small businesses overlook the vast potential of customizable window and wall graphics. From offices and storefronts to private and public areas, window and wall graphics can enhance virtually any space. Before adopting any new marketing strategy, a wise business owner will first want to determine whether investing in this plan will lead to increased profits. Are Window & Wall Graphics Profitable for Small Businesses? Window and wall graphics actively advertise your business without requiring additional labor or expense. Graphics communicate your company’s message and reinforce brand recognition. Increased visibility on windows and walls can capitalize on passing traffic and encourage new customers to engage with the business. The stunning color and dynamic designs on a wall or window graphic can make a company stand out among the competition. Window and wall graphics Albuquerque small businesses use are more than decoration. They are innovative tools that can grow a company’s visibility, make meaningful impressions on customers and directly increase profit through additional sales. Small businesses that utilize wall graphics and window treatments place their brand front and center. Albuquerque small businesses looking for a customizable, cost-effective marketing solution can achieve their advertising goals while staying on budget with affordable window and wall graphics from SignPlex. Our vibrant wall and window graphics can be tailored to fit any surface. These high-performance promotional coverings can also be easily removed, allowing you to change your message as needed. SignPlex is your one-stop-shop for indoor and outdoor branding solutions. Our team of talented designers can deliver high-quality murals that lend your brand maximum visibility. Contact SignPlex today and increase your profits with the wall and window graphics Albuquerque small businesses rely on. How ADA Signage can Help People with Disabilities? Nearly 50 million people living in the United States have a disability that creates difficulties in their daily lives. Some of these afflictions are readily visible while others are hardly noticeable to the public. Regardless of which customers your business serves, it’s your duty as a business owner to ensure that your enterprise is operating with respect to those who require special assistance when conducting business with your company. Installing ADA signage within your buildings and around your campus, parking areas and facility grounds is an easy and effective way to provide help to the customers who need it. There are roughly 36 million people in our country who are blind. According to the National Federation of the Blind, blindness technically qualifies as any visual impairment that requires alternative methods for an individual to complete an activity that persons with normal vision would do using their eyes. Installing Braille signage will assist these individuals as they engage with your business. You should also prepare your facility to assist those with mobility issues. ADA signage can display wheelchair accessible routes and handicap parking spaces and restrooms. Other forms of directional wayfinding signage like “You Are Here” signs, maps and location identifiers ensure that everyone who interacts with your business is able to successfully navigate your facility. Aside from helping your customers, your business may be required by the Americans with Disabilities Act to have directional wayfinding and ADA signage present throughout your property. Failing to comply with these guidelines could result in penalties or fines. SignPlex can create customized directional wayfinding ADA signage in Albuquerque, that is tailored to your specifications while maintaining federal compliance. We can manufacture high-quality and cost-effective door signs, room numbers, directories, and every other type of facility signage your business needs. Our experts can design and install these signage solutions to remove debilitating barriers that could inconvenience your customers. We’re your one-stop-shop for custom ADA signage and directional wayfinding in Albuquerque. Call SignPlex today and request a quote from our expert design team. What to Look for in a Sign Company? When it’s time to create a sign for your company, it’s essential that the finished product achieves one important goal: increasing leads for your business. Whether it’s meant to display a sale, announce an event or simply showcase your brand, an effective sign will leave an impression in the minds of viewers and help you generate more customers. If a sign doesn’t immediately draw attention, then it won’t effectively market a message to your customers. The sign company you select should be able to produce bold indoor and outdoor signage that places your brand front and center in the eyes of your clients. You need your business to stand apart from your competitors in every way possible, including signage. Sign companies that use cookie-cutter designs or generic artwork will cause your sign to blend into the background. A reliable sign company can fully customize your signage so that its dynamic appearance truly stands out. Depending on your business needs, you may require a variety of signage solutions. Though a sign company may be able to provide you with amazing commercial signs or window graphics, their inability to provide other types of signage can be a disadvantage. As your business grows, you may need wayfinding ADA signage, trade show graphics or even vinyl vehicle wraps. The sign company that will deliver the most success is one that can provide the highest-quality options. Why choose between style or substance? A full-service sign company can provide you with indoor and outdoor solutions that are extremely durable and exceptionally detailed. Their products should be able to conform to a variety of surfaces and withstand a range of environmental exposures — and look amazing while doing it. SignPlex is the sign company Albuquerque businesses have trusted to deliver innovative indoor and outdoor signage solutions. We’re able to provide our customers with dozens of bold signs, wraps, graphics, and displays that are durable enough for nearly any setting. Trust SignPlex for all your signage needs. How Custom Banners Add Value to Your Business? 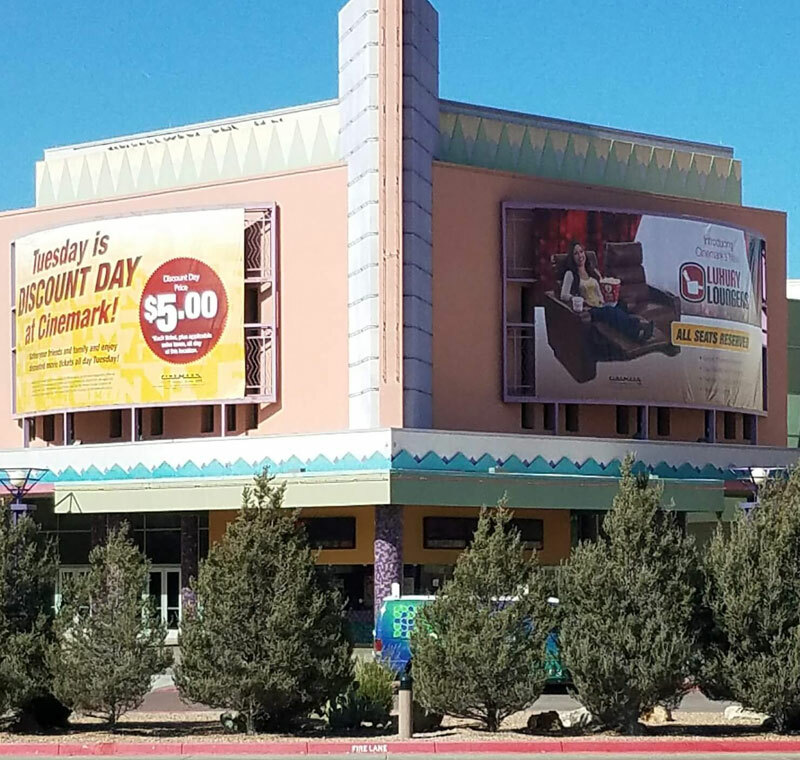 SignPlex is the custom banner maker Albuquerque businesses rely on for innovative indoor and outdoor marketing solutions. Our banners are available in nylon, poly-satin, vinyl and mesh varieties that cater to any space and budget imaginable. If your business could use a boost in visibility, let SignPlex banners take care of internal and external marketing for you. Banners grab your customer’s attention. If you need your message to be noticed, there are few better ways than by displaying your message on a large, vibrant banner. This will immediately catch your customer’s attention and allows you to get your message front and center. It makes your message mobile. There’s no reason to restrict your marketing to your business locations. Get your message out to the masses by placing your banners in high-traffic areas throughout your region. Made with a weather-resistant material, you can display our banners in any environment without worrying about your message being obstructed by adverse conditions. They allow you to be versatile. When you’re trying to make the most of your marketing budget, versatility is key. Banners are great tools to display evergreen messages but that doesn’t mean they can’t be customized for your evolving needs. Affordably priced, SignPlex can create individual signs that feature sales, specials or events that need to be showcased during specific times of the year. Customized indoor and outdoor solutions. Why should your banner be restricted to only one type of marketing venue? Hang your custom banner wherever you see fit. Advertise at outdoor concerts, indoor sporting events or in virtually any other setting. Our banners are easily transported from place to place, allowing you to move your message at a moment’s notice. SignPlex, a custom banner maker in Albuquerque, specializes in custom indoor and outdoor banners and can provide your business with small and large batches of signage for any space. We’ll create eye-catching designs that immediately grab the attention of your customers. With the finest service, best designs and most innovative solutions, SignPlex is your complete source for all your fleet and signage needs. Of the many ways you can successfully advertise for your business, custom commercial vehicle wraps are one of the most unique. This effective form of advertising allows you to showcase your branding in front of thousands of potential customers throughout your area. SignPlex, New Mexico's indoor and outdoor marketing innovator provides the eye-catching vehicle wraps Albuquerque business owners use to increase their visibility. They take your message on the road. Why wait for customers to find you when you can get your message in front of them wherever they go? They grab the attention of many demographics. Targeted advertising can be effective, but commercial vehicle wraps allow you to market your business to virtually every demographic imaginable. They are subtle forms of advertising. Unlike media ads that are aggressively interrupting an individual’s conversation or train of thought, vehicle wraps are less intrusive forms of advertising that customers enjoy seeing. They showcase only your business. Print and media advertising forces your brand to compete with others for consumer attention. Custom vehicle wraps only feature your company, allowing it to be the sole brand your customers view. They protect your vehicle. Not only do commercial vehicle wraps look good on your car, they also protect it from scratches, dents and environmental exposure. They can be applied and removed easily. These vinyl wraps can be removed at any time and replaced with new wraps that continue to capture the attention of your clientele. They are long-term cost-effective solutions. You need to make every penny of your marketing budget stretch as far as it can. With custom vehicle wraps, your marketing budget literally stretches for miles, allowing you to continue advertising your business with only an initial investment necessary. Custom vehicle wraps from SignPlex can provide your business with a number of benefits that other advertising campaigns cannot. Our wraps for trailers and cars take your message around town, grabbing the attention of your customers while keeping your marketing budget in check. Trust SignPlex to fit your car with the commercial vehicle wraps Albuquerque companies trust to amplify their branding. SignPlex, a sign company in Albuquerque innovates indoor and outdoor marketing solutions with signs, banners, and promotional wraps for windows, elevators, stairs, fencing and vehicles. Our retail POP displays pop with enticing color. SignPlex offers tools for small business to market more efficiently. We help companies get found with architectural signage and business printing. Contact us today!